Award-winning filmmaker and director Slater Jewell-Kemker spent 10 years shooting Another World Is Possible around the world. At age 15, Slater began attending environmental summits, wide-eyed and ready to make a difference. 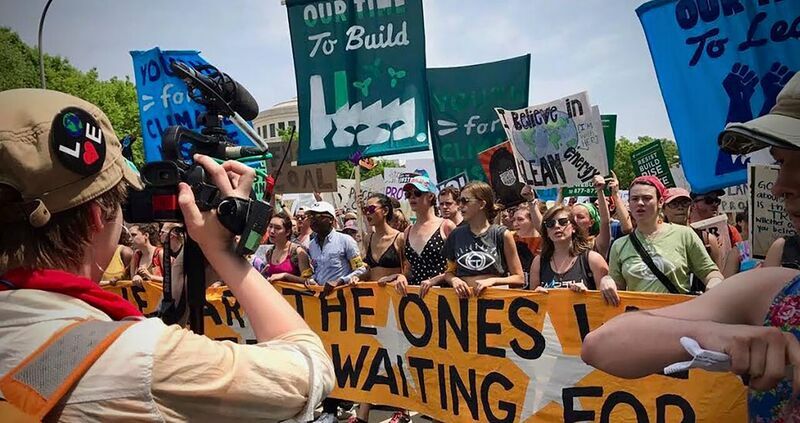 What began with a single journey evolved into an intimate and challenging documentary shot behind the front lines of the largely misunderstood Global Youth Climate Movement. Uniting the film industry to inspire climate action. Advancing sustainability in films and visual storytelling. Film4Climate is a global initiative of the World Bank Group’s Connect4Climate program dedicated to advancing climate action and sustainability practices, and the inclusion of environmental messages in films and creative visual storytelling in order to achieve a low-carbon resilient world. Film4Climate counts on a global network of knowledge partners from the film industry, who are committed to climate action, environmental protection and social equity.